Sunflower seed is a high-quality oil. The whole seed oil content of sunflower seeds is about 40%, and the oil content of sunflower seeds is as high as 50%. In recent years, sunflower seed production has developed rapidly, and the world's sunflower seeds have become an important oil after soybean. Sunflower oil is rich in unsaturated fatty acids such as oleic acid and linoleic acid, and vitamin E (α-tocopherol). The ratio of linoleic acid and vitamin E is relatively balanced, which is convenient for human body to absorb and utilize. The human digestibility rate is 96.5%. Sunflower oil has become an internationally recognized high-grade edible vegetable oil, which has a good preventive effect on diseases such as heart disease, hypertension and hardening of the arteries. 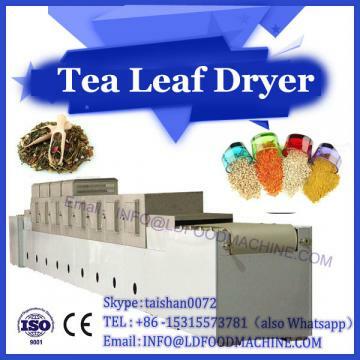 Microwave drying mechanical pressing technology extraction is the most traditional oil extraction method, simple operation, no solvent pollution, good quality oil, light color, and can retain the unique flavor of sunflower oil. Cold pressing is a method of oil production by physical and mechanical action. Before the oil is pressed, it is sent to the oil press without heating or at a low temperature. The whole process is carried out at low temperature, which is suitable for producing high quality oil with high oil content. Generally, the pretreatment methods for sunflower seed refining are frying seeds, baking, etc., although the Maillard reaction can increase the aroma of sunflower oil during high-temperature roasting, and the product can increase oxidative stability, but high temperature can easily lead to nutrition. The loss of matter. Therefore, it is of great practical significance to study the effects of cold pressing and hot pressing on the quality of sunflower oil. The fatty acids of cold pressed and hot pressed sunflower oil are mainly composed of palmitic acid, stearic acid, oleic acid and linoleic acid. Among them, the content of linoleic acid was the highest, and the cold pressed and hot pressed sunflower oil were 63.41% and 60.97%, respectively, followed by oleic acid. The contents of cold pressed and hot pressed unsaturated fatty acids were 89.11% and 89.06%, respectively, and the trans fatty acids were 0.07% and 0.08%, respectively. 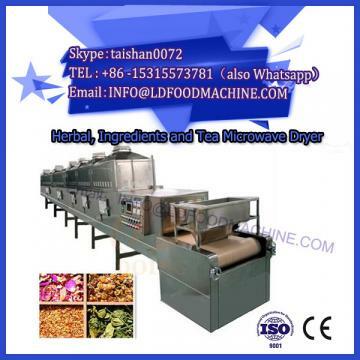 From the above results, the hot pressing process has little effect on the fatty acid of sunflower seed oil, and the fatty acid composition is not significantly different from that of cold pressed sunflower oil. The vitamin E in sunflower oil is mainly α, γ + δ. Vitamin E in sunflower seeds is also related to the place of origin, variety and storage time. Vitamin E is easily oxidized in heat, oxygen, light, and high concentration of unsaturated fatty acids. Vitamin E has unique biological functions. Therefore, comparing the changes in vitamin E content in cold pressing and hot pressing processes has great practical significance. Sunflower seeds are oils with higher oil content. In this paper, sunflower oil is extracted by cold pressing and hot pressing, and the physical and chemical indicators, sensory evaluation, fatty acid composition and vitamin E of cold pressed sunflower oil and hot pressed sunflower oil are compared. content. The physical and chemical indicators of cold pressed sunflower oil are better than hot pressing, but both meet the standards for edible oil. Hot pressed sunflower oil is darker in color and has a stronger scent of sunflower seeds. There is no significant difference in the fatty acid composition between cold pressed and hot pressed sunflower oil. The content of unsaturated fatty acids is above 89%, indicating that the hot pressing process has little effect on fatty acids. In terms of vitamin E content, the content of vitamin E in cold-pressed sunflower oil is more than 93.4 mg/100g, while the content of vitamin E in hot-pressed sunflower oil is about 64.4 mg/100g. Therefore, the quality of cold pressed sunflower oil is better than that of hot pressed sunflower oil, and it can be used as a nutritious and healthy edible oil.